Lee Ranaldo and The Dust will be touring the US and Canada this fall and winter in support of a new album to be released in October, the followup to 2012’s Between The Times and The Tides. 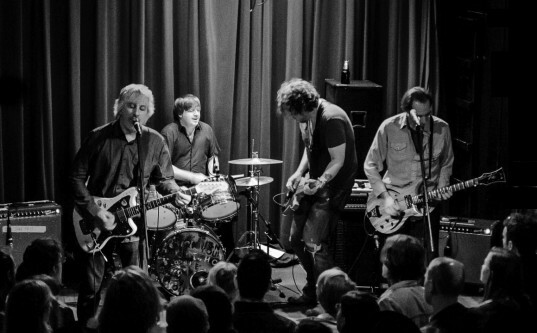 The album will technically be the debut release from Lee Ranaldo and The Dust [Alan Licht, Steve Shelley, Tim Luntzel], reflecting its more band-oriented approach and sound. The first round of dates is below, more dates coming soon (including UK/Europe), and full album details will be released in August. Check out Lee’s site, Facebook, and Twitter! All US dates on sale this Friday, July 26. About Montreal, or better : Quebec City, at the end of october ? It’s Lawrence, KS! Though there is a Kansas City in both Kansas (where Charlie Parker is from) and Missouri (which used to have some excellent record stores, now gone).